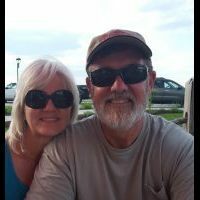 Since the man of sin is a precursor before our gathering to Christ and many of us think the end times are here or near, how can we identify the man of sin and the beast? I don't think that it's possible to identify him before this moment with any certainty. I am positive that when he is making his rise to power and such that many Christians will be suspicious, but the wording of 2 Thessalonians 2:1 right there says it all "and that man of sin be revealed." Ultimately I don't think that we can be assured that this is the "one" so to speak until he has set himself up in the temple in Jerusalem. The discourse starts with a question on the part of the disciples. Mat 24:6 And you will hear of wars and rumors of wars. See that you are not troubled; for all these things must come to pass, but the end is not yet. The signs mentioned above are the beginning of the sorrows, the gathering clouds on the horizon if you will. Mat 24:9 "Then they will deliver you up to tribulation and kill you, and you will be hated by all nations for My name's sake. Mat 24:10 And then many will be offended, will betray one another, and will hate one another. Mat 24:11 Then many false prophets will rise up and deceive many. Mat 24:13 But he who endures to the end shall be saved. Mat 24:14 And this gospel of the kingdom will be preached in all the world as a witness to all the nations, and then the end will come. Mat 24:16 "then let those who are in Judea flee to the mountains. Mat 24:17 Let him who is on the housetop not go down to take anything out of his house. Mat 24:18 And let him who is in the field not go back to get his clothes. Mat 24:19 But woe to those who are pregnant and to those who are nursing babies in those days! Mat 24:21 For then there will be great tribulation, such as has not been since the beginning of the world until this time, no, nor ever shall be. Mat 24:22 And unless those days were shortened, no flesh would be saved; but for the elect's sake those days will be shortened. Mat 24:28 For wherever the carcass is, there the eagles will be gathered together. The highlighted verse is the point of no return so to speak. Everything before that will be signs worth noticing to be sure, but we cannot be assured that the end has begun until this act happens. Earthquakes, wars and rumors of wars, etc., are not exactly subjective, but are subject to human misconceptions. I personally, and this is just my own opinion, think that these things will be happening at an rate that is so far above anything on historical record by the time that the abomination arrives that that it will be impossible to ignore. The current level of such things still waxes and wanes on a historical scale. The one singular event that will be undeniable would be the abomination. I wouldn't go so far as to say that I'd never venture into conjecture myself given the proper set of circumstances, but I don't think i will ever be assured in my own mind unless I see that one event occur. What are your thoughts on the Beast of Revelation and of Daniel? Also what are your beliefs about the Abomination of Desolation? the ten horns build the system of economic control that uses the mark for the purpose of establishing a new order. three of the ten horns' affiliations (Russia, China, N. Africa?) decide that sending an overwhelming military force is an appropriate response to his skulduggery and move against the man of sin in the Middle East. 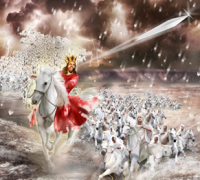 when he is surrounded, the man of sin defends himself by raining fire down from heaven and other supernatural manifestations and everyone resigns to his authority declaring "who can wage war against the beast?" he restores order to the world and then sets himself up as God which is the abomination that leads to desolation. The working of Satan through the man of sin (who speaks as a dragon) to demonstrate supernatural power in the destruction of the three horns that attack him is what I consider to be "the revealing" of the man of sin, which is quickly followed by the abomination and subsequent desolation. The beast from the sea is a supernatural entity who comes up out of the abyss. He provides the supernatural "support" for the man of sin. Of the evil trio, only the man of sin is a human. The dragon and the beast from the sea are evil spirit beings. 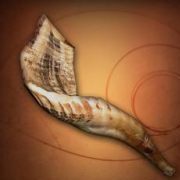 The little horn in Daniel 7 and the beast from the sea in Rev 13 are the same entity. Dan 7:25 vs Rev 13.5 Rule for time and times and dividing time or 42 months. I always try to keep it simple and try not to get too technical. When I compare 2Thes2:1-9 with Daniel and Jesus I see a man and a temple. I believe that the temple will be built early in Daniel's 70th week and I see the "man of sin" going into the holy of holies and declaring himself to be God. These verses seem to compliment each other very well. Nothing in past history fulfills these verses completely, so I think they are yet future, not only to Daniel, Jesus, and Paul, but to us as well. No theory is without its own problems, but I'm happy with this one. 2 Thessalonians 2:3-4 ¶ Let no man deceive you by any means: for that day shall not come, except there come a falling away first, and that man of sin be revealed, the son of perdition; 4 Who opposeth and exalteth himself above all that is called God, or that is worshipped; so that he as God sitteth in the temple of God, shewing himself that he is God. I believe that the temple will be built early in Daniel's 70th week and I see the "man of sin" going into the holy of holies and declaring himself to be God. These verses seem to compliment each other very well. Nothing in past history fulfills these verses completely, so I think they are yet future, not only to Daniel, Jesus, and Paul, but to us as well. No theory is without its own problems, but I'm happy with this one. Very good summary, but missing one very key point. Rev. 13:5 And he [THE BEAST] was given a mouth speaking great things and blasphemies, and he [THE MOUTH] was given authority to continue for forty-two months. Ex. 4:16 “So he [Aaron] shall be your [Moses'] spokesman to the people. And he himself shall be as a mouth for you, and you shall be to him as God." The Mouth of the Beast is NOT the Beast: it is his spokesman. The spokesman (a man) dies after the 1260 days. The Beast (a fallen angelic spirit that is currently in the Abyss, but not for long) does not. Antiochus Epiphanes soon returned to Egypt with the intention of conquering Alexandria. ... He was indeed a vile man, seemingly a forerunner to the coming Anti-Christ/Beast in many of his mannerisms. At lot of people just skip over the implications of the phrase in red. The "latter" return of course must refer to the King of the North's invasion of Egypt in the End Times (11:42), since Antiochus only invaded Egypt twice. Matt. 24:15 “Therefore when you see the ‘abomination of desolation,’ spoken of by Daniel the prophet, standing in the holy place” ... 21 then there will be great tribulation, such as has not been since the beginning of the world until this time, no, nor ever shall be." 24:29 "...after the tribulation of those days [when] the sun will be darkened, and the moon will not give its light, [and] the stars will fall from heaven, and the powers of the heavens will be shaken. 30 ... and they will see the Son of Man coming on the clouds of heaven with power and great glory. 31 ... and [He] will gather together His elect..."
2 Thes 2:8 ... the lawless one will be revealed, whom the Lord will consume with the spirit of His mouth and destroy with the brightness of Hi﻿s coming. The Beast only arises from the Abyss and the sea AFTER these things take place; the elect of the Church by then having been removed.